This is the third in a series of six posts exploring current issues facing training professionals and the upcoming trends in training for the next five years. In this series we will examine what the current learning indicators show about the outlook for the modern workplace and the next five years, as well as four key trends associated with adapting training to the new context. As these trends play out, we need to consider how to implement a culture change in our training organizations and identify some of the challenges these changes will bring. Earlier we discussed how four generations of workers interacting in the workplace at the same time can impact our training design, and then discussed the modern context in which our learners are working. In this post we explore our first key trend: Blended Learning & Flipping The Classroom. The idea of technical literacy is gaining momentum, in particular because the trend of blended learning brings a lot of technologies and, along with them, the requirement to be able to use them effectively. It also means that there are likely to be training situations where a facilitator and a participant are at two different ends of the spectrum - it may be that the participant is familiar with technologies that the facilitator has never seen, and vice versa. We have to be very careful to make sure that the facilitator is clear about the means and expectations of delivery so that even when the participant has a very different experience set of technical literacies, both can still participate effectively in the learning experience. At its essence, blended learning is not only about matching content to the most appropriate delivery medium, but doing it at the learning objective level. Instead of making a design decision to teach project management via WebEx Training Center, we break project management into its component learning objectives and match each learning objective to the best technology available. The best approach I have found to accomplish this is to use a new take on Bloom’s Taxonomy. Originally developed in the 1950’s, the intent of Bloom’s Taxonomy was to categorize types of learning objectives to define a level of mastery in a classroom. Using Bloom’s Digital Taxonomy, depending on the desired outcome, you would categorize your learning objectives into one of the six levels of learning and then use appropriate activities that correspond to the levels of learning in order to achieve the desired level of mastery. For example, at the original knowledge level of learning, a student can recall knowledge by performing such activities as creating a list or creating a list of defining features. "If you can test it online, you can teach it online." "If it's not worth testing, it's not worth teaching." Many of us have existing training programs that have been designed for and delivered in the traditional face-to-face classroom with two-day and three-day agendas. Our challenge here is in the correct repurposing of that content for the new medium. For a more in-depth treatment of designing and assessing a blend, see Designing Blended Learning with Bloom's Digital Taxonomy. This is not going to be a simple case of moving the same content, exercises and learning activities into a shorter time window or a different medium. When we use a face-to-face classroom, we have the "luxury" of time - we may have, for example, five hours of material to deliver in two days. We often have a lot of dead time - inefficient use of time - so we have to make sure that the material is meaningful, relevant and important and that we test against it. It's important to make sure that the learning has embedded and that it will make a difference. One of the significant challenges that we see in blended technologies has to do with validating the learning experience. We need to watch out for the assumption that it's going to be very straightforward to move to this new medium. It's not easy. Just because you have use of a virtual classroom doesn't mean that a virtual classroom is the right delivery platform for you. There is no one-size-fits-all platform - teaching one group a particular way does not mean it will be effective for all groups. Implementation of blended technology places a bigger emphasis on design, which is actually more critical, as a poor design becomes much more apparent in virtual delivery environments. To stay ahead of this trend is to always be looking at new design technologies, but not necessarily trying to create all of the technology delivery methods yourself. 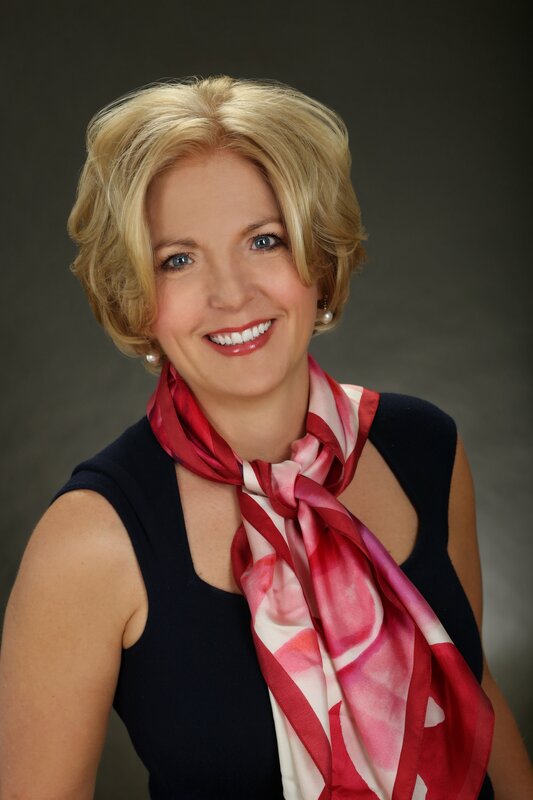 Remember to use and leverage existing assets that already exist in your organization. Communicate with others and use communities of practice to find out what the best practices are. Find out who's leading these practices and study what they're doing. The flipped classroom concept originated with K-12 educational systems, where traditionally students go to a class, learn from the teacher, and then go home to complete homework. Perhaps they build a model of a cell, or write a report about the American Civil War. Because they are at home, they naturally turn to their parents and siblings for help. But the parents and siblings are not necessarily experts at biology or American history. Traditional homework doesn’t set the student up for success. The flipped classroom model attempts to solve this problem. It takes the lecture aspect of the classroom and turns knowledge-oriented content into self-directed work. The content might be delivered via an online video. Or via a textbook or ebook. Students learn on their own, and come to class to ask the expert questions about the content, complete project work, and apply knowledge. Since project work isn’t completed in a vacuum, we can kick it up a level. Students can collaborate in groups, with an expert to moderate, to create projects and interactions that reach a higher level of learning then they may have accomplished on their own. How does flipping the classroom apply to blended learning? Remember, blended learning is not only about matching content to the most appropriate delivery medium, but doing it at the learning objective level. If you follow the suggested process of using learning objectives and assessment techniques to determine the best delivery method for each objective, using a model like Boom’s Digital Taxonomy for guidance, you will be delivering a program that has students mastering knowledge-based objectives using self-paced technologies, and moving towards more collaborative and live technologies as they move into application of skills, analysis of skills, and beyond. Implementing a flipped classroom isn’t a fad. When thoughtful instructional design is applied to a blended learning program, a flipped classroom is the result. Learn more by reviewing the recording: 3 QUESTIONS YOU NEED ANSWERED BEFORE DESIGNING VIRTUAL AND BLENDED LEARNING. Up next: Trend 2 - Collaboration As A Competency. Interested in learning more about blended learning design and how you can earn your Blended Learning Design Badge? 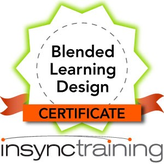 Check out our Blended Learning Design Certificate course by clicking on the graphic below.